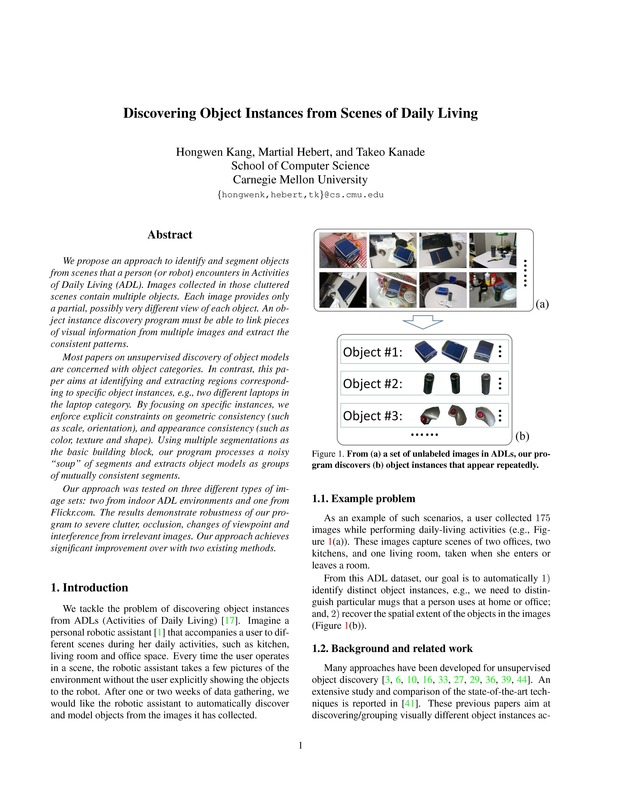 We tackle the problem of discovering object instances from Activities of Daily Living. Imagine a personal robotic assistant that accompanies a user to different scenes during her daily activities, such as kitchen, living room and office space. 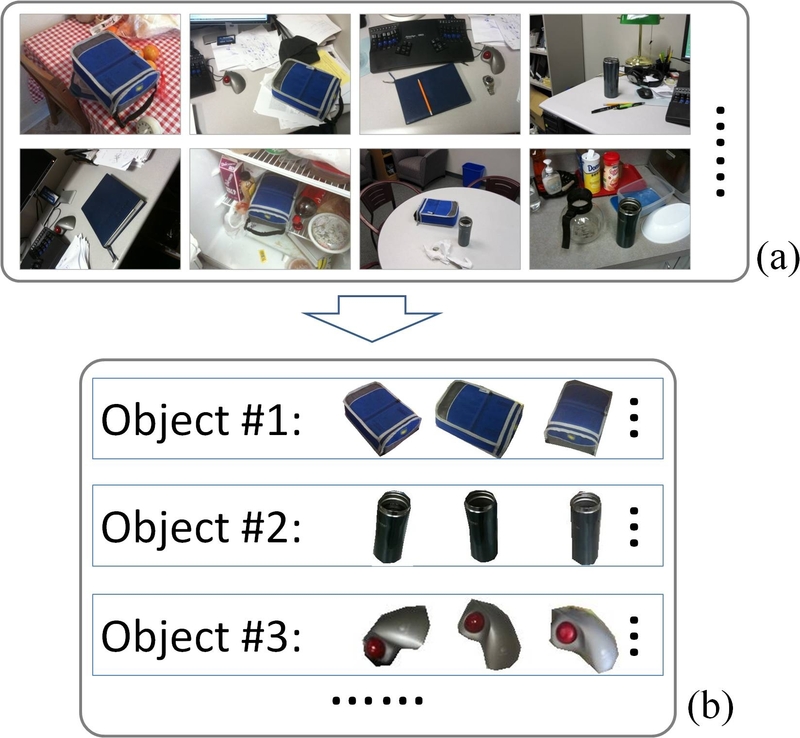 Every time the user operates in a scene, the robotic assistant takes a few pictures of the environment without the user explicitly showing the objects to the robot (a). 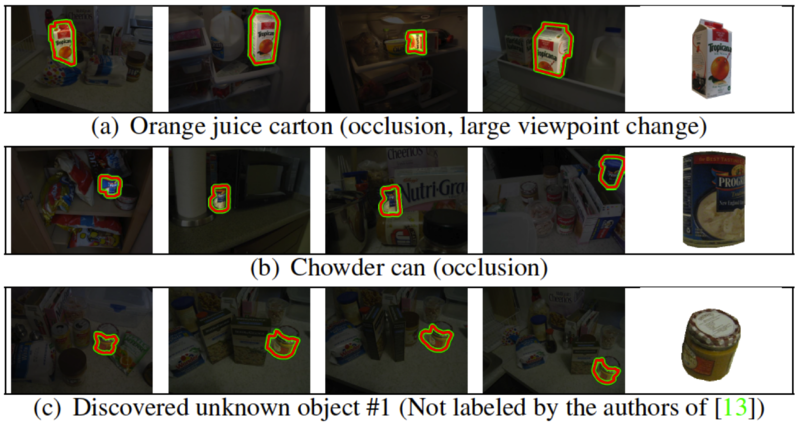 After a period of data gathering, we would like the robotic assistant to automatically discover and model objects from the images it has collected (b). We evaluate our program on three different datasets, each with different characteristics. Hongwen Kang, Martial Hebert and Takeo Kanade. 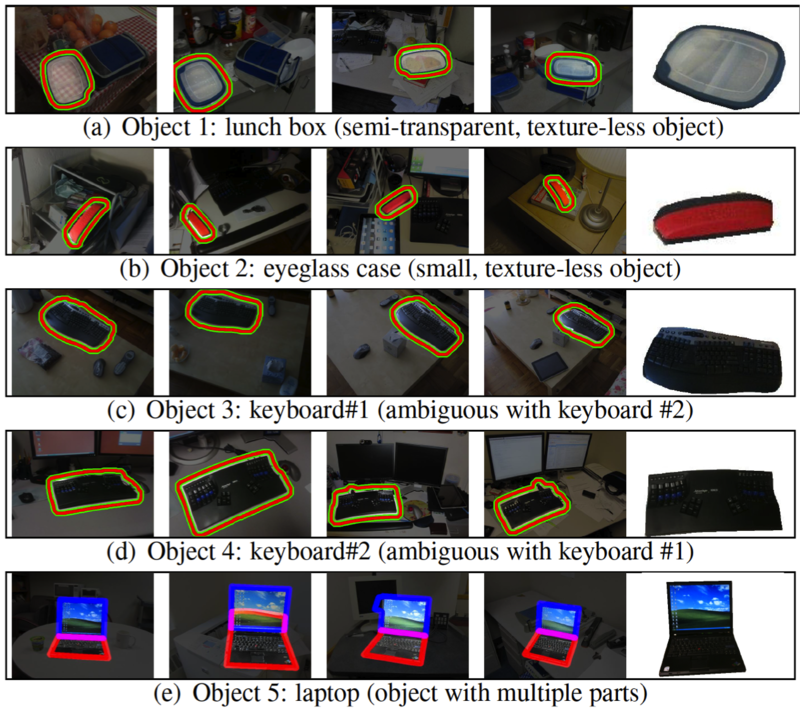 13th International Conference on Computer Vision. (ICCV 2011), Barcelona, Spain, November 6-13, 2011. Last updated 9/2/2011, ©Hongwen Kang, designed by CMU Graphics Lab.